Controlling and monitoring your lighting has never been easier! 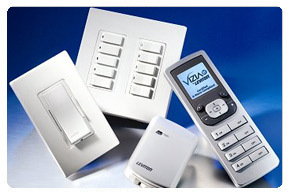 Lighting control system is a very important and essential part of the any home or business. Besides convenience of simplified control it is also allows to saving money on your electrical bill. Large environments such as MDU buildings or office building especially benefit from integrating lighting controls, as from monetary benefit, as well as in dedication to a global green initiative, scoring LEED points and attracting environmentally conscious tenants. In residential setting automated lighting control combined with entertainment functions can make movie experience extra enjoyable. As your lights dimmed with the movie starting and light back up as it ends, without any extra effort. Basic timed controls allow you to save on energy bills, and some cases even act as a security feature, by creating “lived in” like activity while you’re away on vocation.